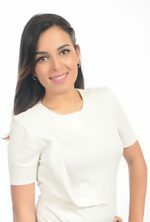 Dr. Soline Zeitouny received her DDS (Doctor of Dental Surgery) degree from the Lebanese University in Beirut – Lebanon, in 2013. Upon completing her residency training program, Dr. Soline began treating patients in private practice. She subsequently obtained her college diploma degree in Pediatric Dentistry in 2016 from the Lebanese University. Very focused, Dr. Soline confidence, kindness and self-determination reassure children who just feel engaged in doing what they are asked to do. Being a mom to her 2 years old princess, entails her to relate to very young children. She relates to all contemporary modern aspects of children’s world.